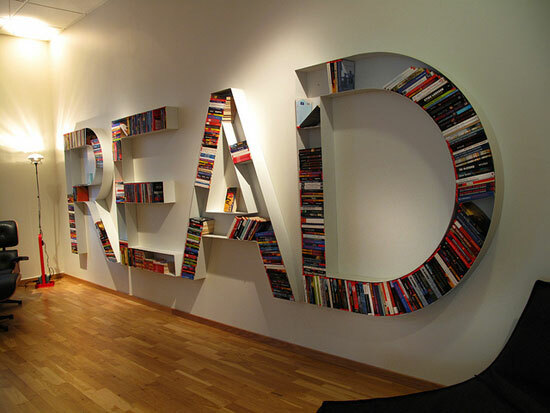 9 Awesome Ideas for the DIY Bookcases of Your Bookworm Dreams! In this DIY and recycling age, you can pretty much make anything out of anything! The same can now be said about our beloved bookcases. These ideas for re-purposing your book cases are great for if you’re living in a tight space or need a new piece of furniture at a fraction of the cost! And if you like DIY projects, give it a shot! This is the obvious way to use a bookcase, but there’s nothing like seeing your collection beautifully displayed. 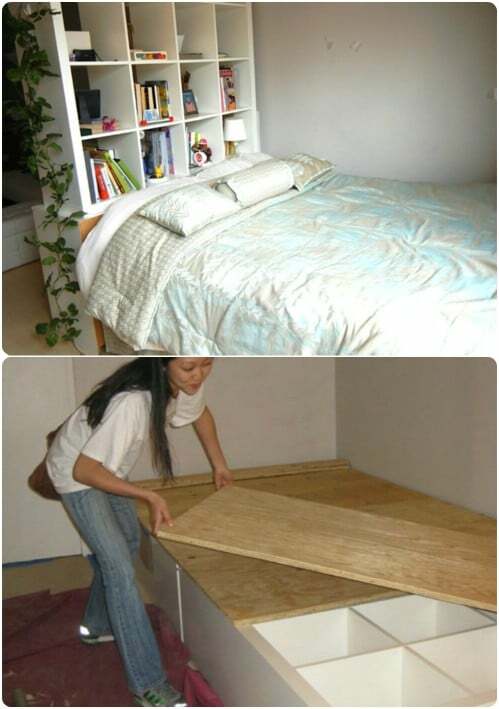 This can be great if you live in a small home and want to separate space without making the space smaller, or if you have big rooms that you want to divide for different purposes. You can make library space without needing the extra space! Very practical! I for one am the type of person who likes to keep books right by my bedside, so if you’re like me, I would put this on my wish-list! Watch a DIY tutorial here! How cute! 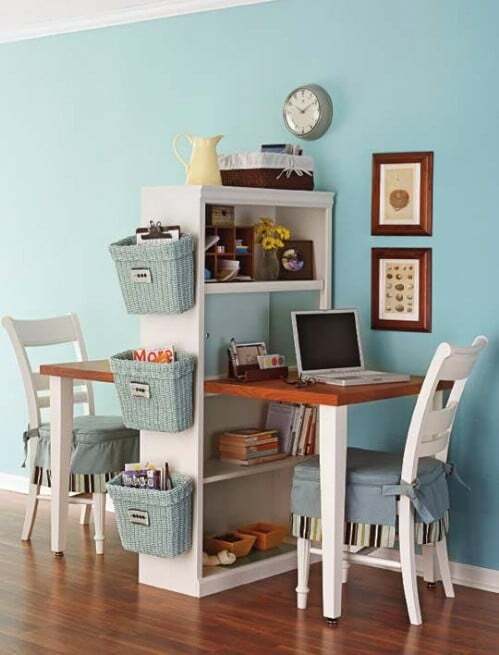 This looks like it would be a great place for kids to read and do their homework in their own space, or if you and your spouse work from home and want to still spend time close to one another. The baby doesn’t have to get this cool piece of furniture. It can go anywhere in the house for people to sit and can store whatever you want in the drawers! Linens, children’s toys, or, hey, maybe more books! Check out a DIY tutorial here! For those very long days after work. Good booze and a good book? Sounds like a great time to me! I would make it a 1920s Speakeasy theme and throw a copy of The Great Gatsby among the drinks! Find a DIY tutorial here! 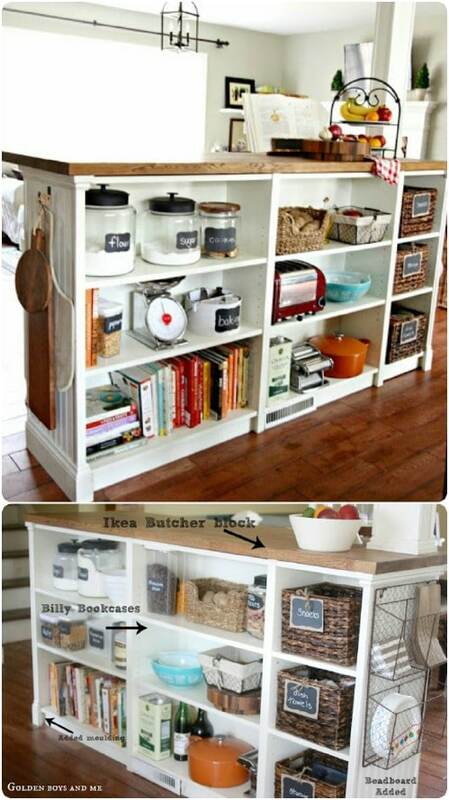 For extra counter space without taking up too much space. You can throw in your cookbooks amongst the shelves. Here’s a DIY tutorial. A fun way to personalize your home is to buy a unique bookcase rather than the traditional type. You save space, money on extra furniture and decor, and have shelf space for you books. You can have your cake and eat it too! Whichever way you think your ideal bookcase should be, I think we can all agree on the most fundamental part. Holding our books!